Want to make an eye sore your new, posh focal point? 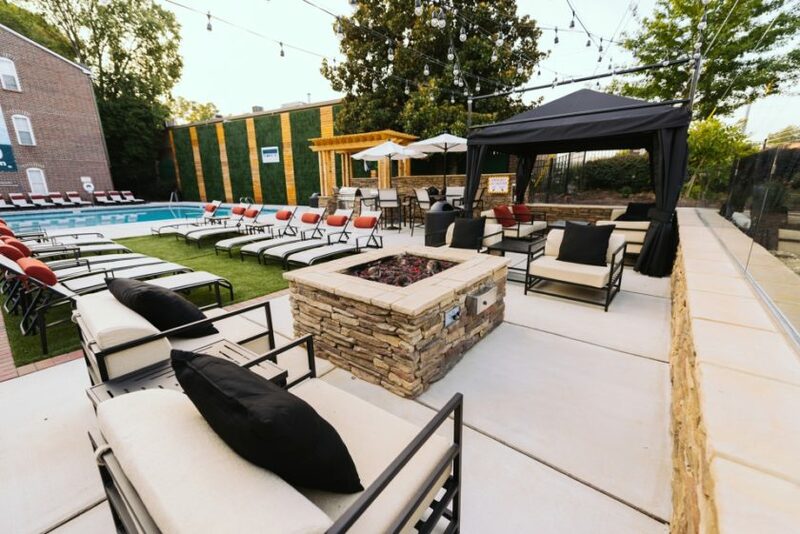 That’s exactly what Uptown Buckhead Apartment Homes in Atlanta, Georgia, did with their outdoor living space and pool area. We’ll show you how they did it, how we helped, and how we suggest the same custom-made solutions for your commercial or residential property. 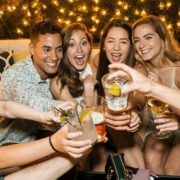 Though the pool and outdoor area had gone through a recent redesign, complete with modern furnishings and a contemporary fire pit, there was still one issue that needed to be resolved. 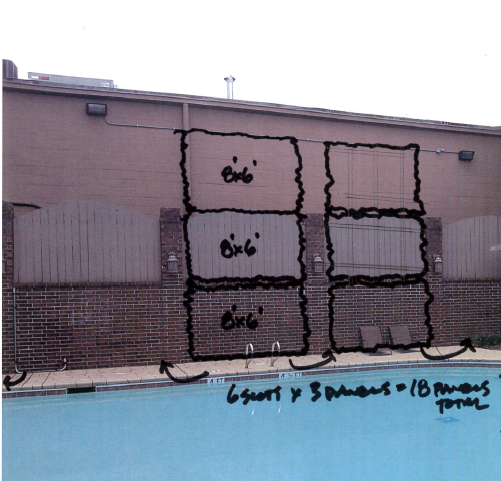 A faded brick wall still surrounded one section of the pool area, and the wall contained cutouts where wood fence panels filled the gaps, meaning that anyone strolling behind it could take a peek through the panels. 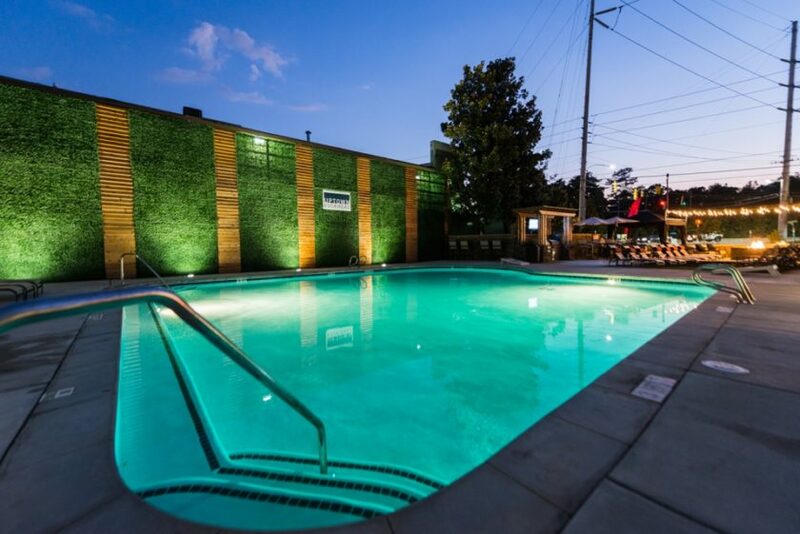 Not only did this mean no privacy, but the unsightly back wall of the business next door, with its drab color and exposed piping, could be seen over the brick wall, detracting from the otherwise upscale feel of this poolside area. 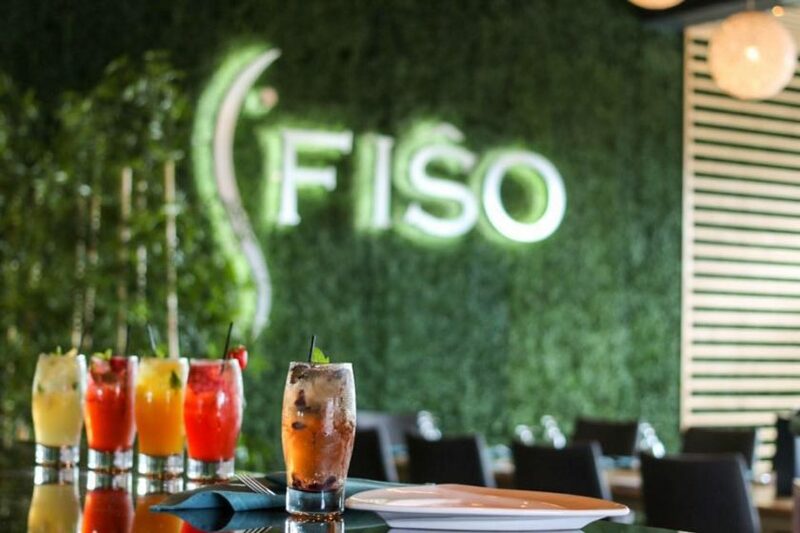 That’s when the apartment complex’s construction crew called us, and we were happy to provide a simple solution that would act as the perfect posh backdrop to their redesigned space. 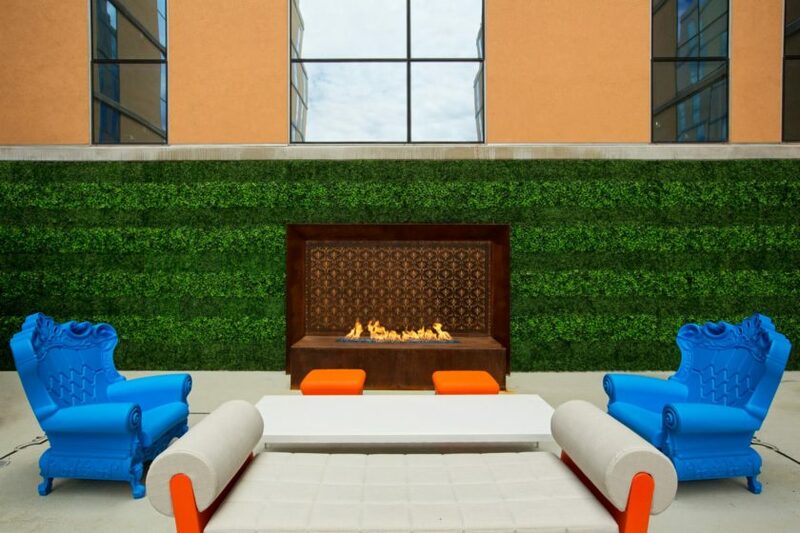 Our suggestion for Uptown Buckhead was to use Boxwood Artificial Outdoor Living Walls to cover the brick perimeter wall, with additional panels extending upwards to block the drab view of the building next door. 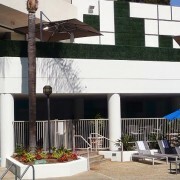 Not only would this lush, no-maintenance greenery give the area a modern and streamlined feel, but it would provide privacy to the pool area by blocking any lookie-loos walking between buildings from peeking. It would also serve as a natural sound-suppressor to outside noise, creating a nice, relaxing “spa-like” tranquility for tenants and guests to enjoy. 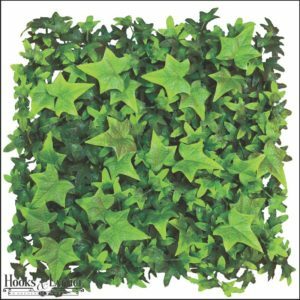 These boxwood panels come in various sizes and a choice of lush, thick boxwood or leafy English ivy designs. 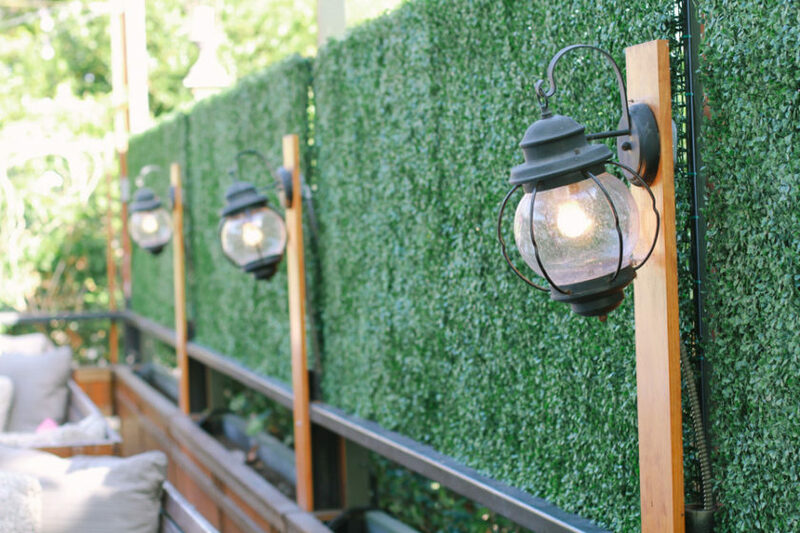 Made from UV-protected materials, these faux living walls are made with longevity in mind—even in outdoor spaces exposed to the elements. 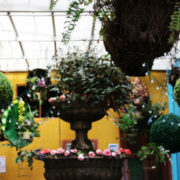 Mounted on durable powder-coated iron frames, the lush greenery won’t fade, rain or shine, and will never need pruning. This means no added maintenance costs, a plus for apartments, hotels, and condos! 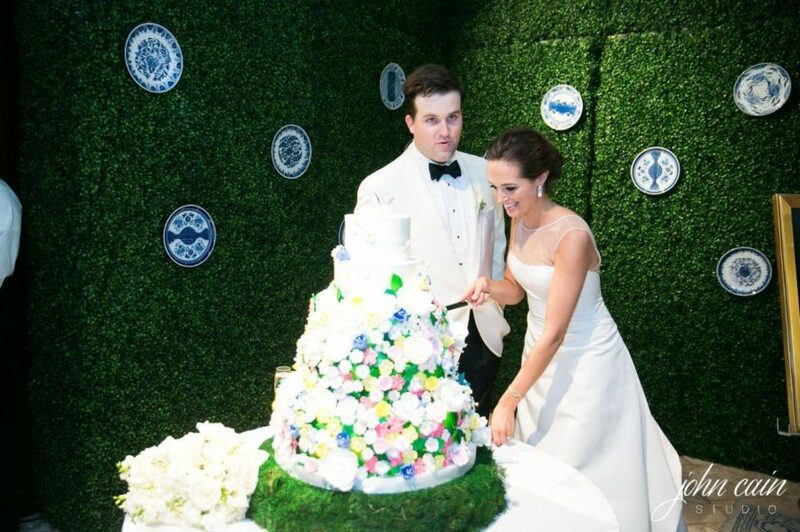 What Else Can You Do with Artificial Green Walls? 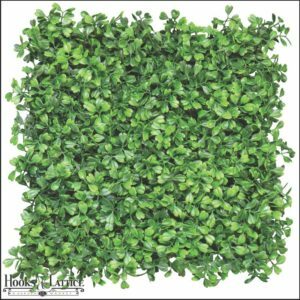 The popularity of green walls, both for indoor and outdoor spaces, shows no signs of waning. In fact, in both commercial and residential use, they are more and more seen as the backdrop or focal point of a modern space. 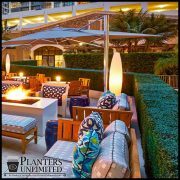 As such, our clients have used them in hotel lobbies, around pools and outdoor common areas, on restaurant patios, in retail displays, and a variety of other applications. The question is, really, what can’t you do with these natural-looking, no-maintenance green walls? Zero-maintenance: no water, soil, or trimming! 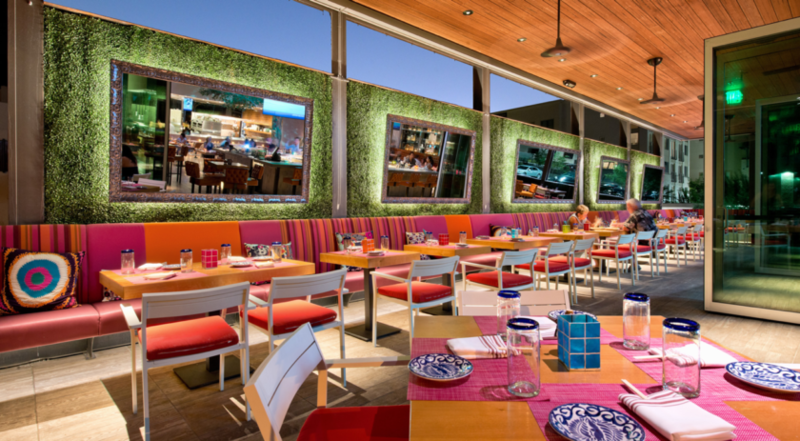 Perfect as privacy screens, sound absorbers, and modern design accents! 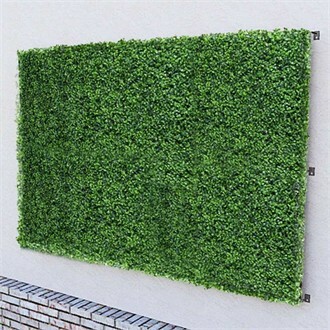 What Will You Do with Your Green Wall? 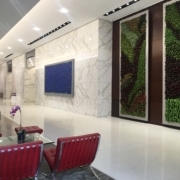 Got a redesign project that could use a green wall, but without the extra maintenance costs? 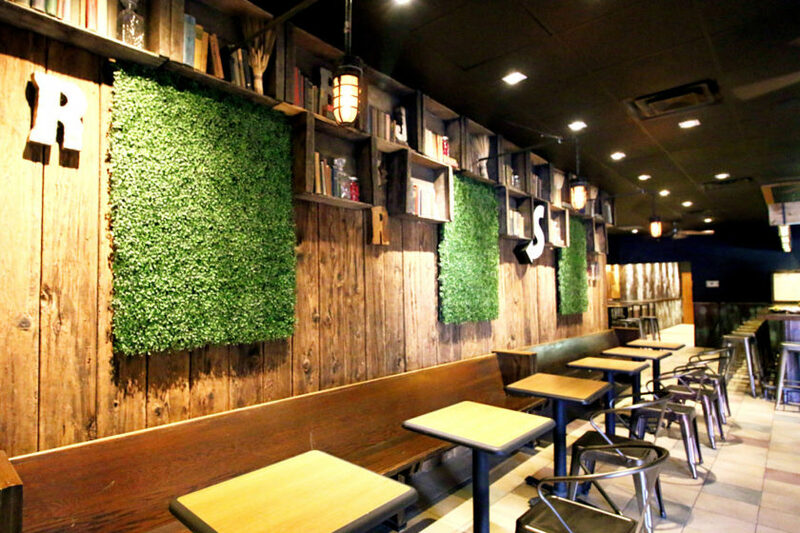 Get the look of live greenery in a contemporary green wall that will never weigh down your budget. 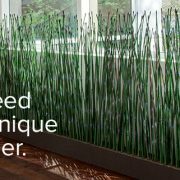 There are so many ways to use a green wall, and so many ways to customize them to fit the look and size of your space. 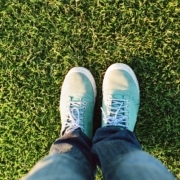 Let us help you “go green” with your next commercial project—call us today at 1-888-320-0626. Replica Living Walls: Bringing Your Design to Life (With Zero Care) Designing with Topiary Spheres: Oh, the Places You’ll Go!